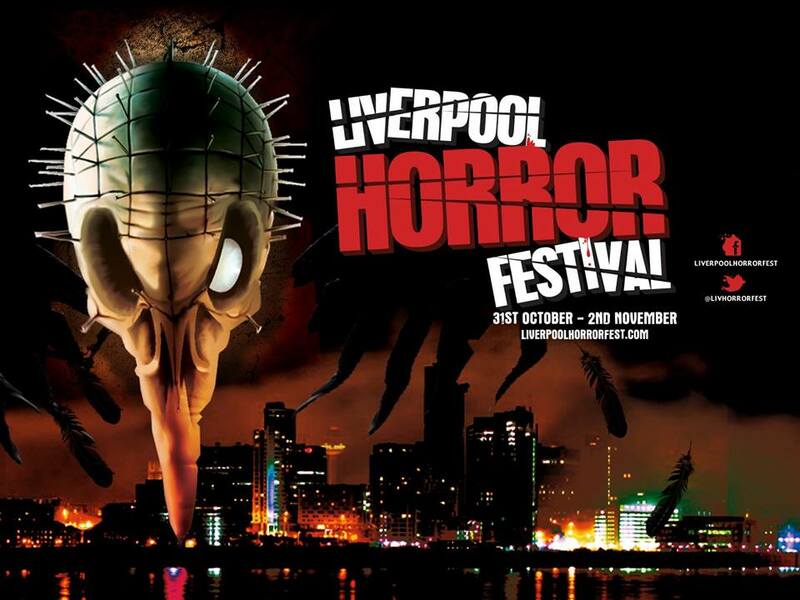 i spent this halloween at the first annual liverpool horror fest! 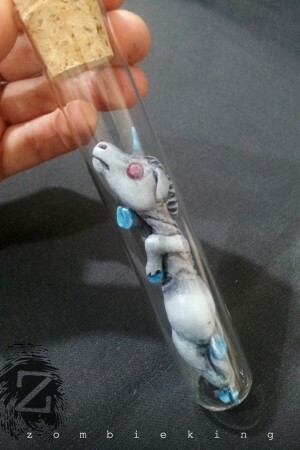 the event kicked off on thursday 31st Oct – halloween night! – with screenings of hellrasier & hellbound. there was a victorian séance, and to round the night off they showed the amazing new zombie flic ‘stalled’ [watch the trailer here] followed by a Q&A session. but i wasn’t just there as a festival go-er, i was also on hand (along with fellow MUA Heather Vickers), to provide speedy zombie-makeovers for anyone who was game! saturday afternoon, FX artist Shaune Harrison (whose work includes Harry Potter/ World WarZ/ Game of Thrones) gave a make-up demonstration. this was probably the highlight of the weekend for myself. getting to see such an amazing artist do his thing up close, whilst chatting and fielding questions from the audience. there were a few other things going on in the evening too, including a music performance by El Diablo! again, i was on zombie makeover duty! 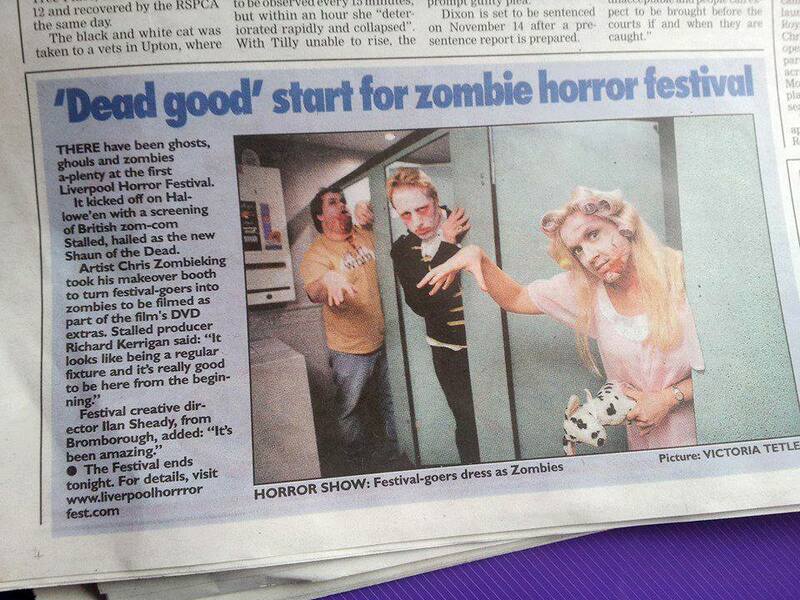 and i got a little mention in the Liverpool Echo too..
it was a great event, and i’m so happy to have had the chance to attend and be involved this first year. roll on next year!